SynapseIndia has a reputation of celebrating work regularly and for the same reasons, HR team keeps organizing various games, events on the work floor. 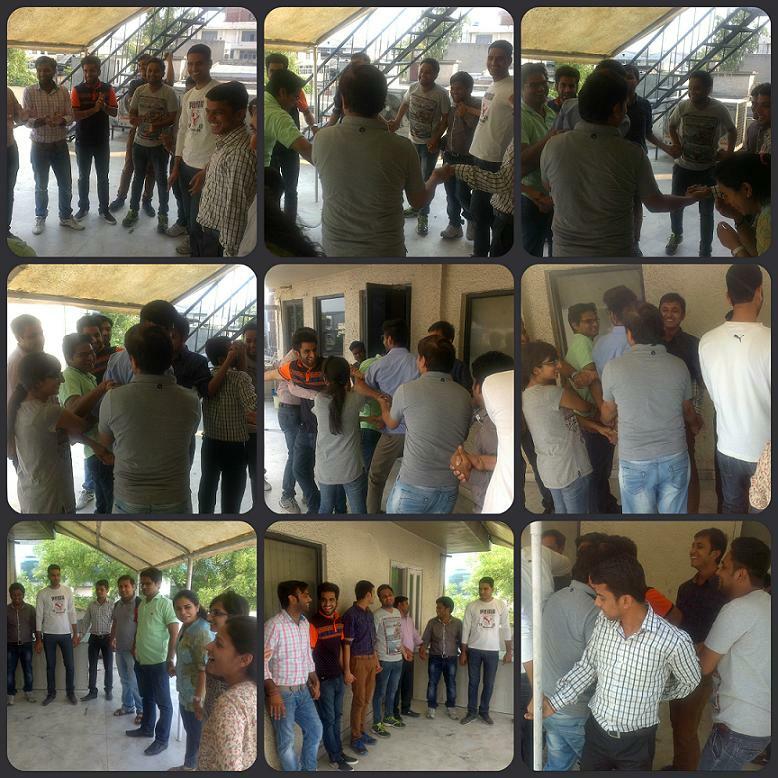 Laughter challenge was one such event that gave employees great time and fun to cherish during the work. 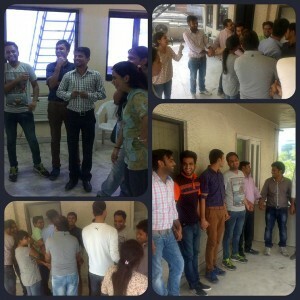 As a part of the HR Connect session, laughter challenge event was organized at the company. Teams were formed by randomly selecting employees. 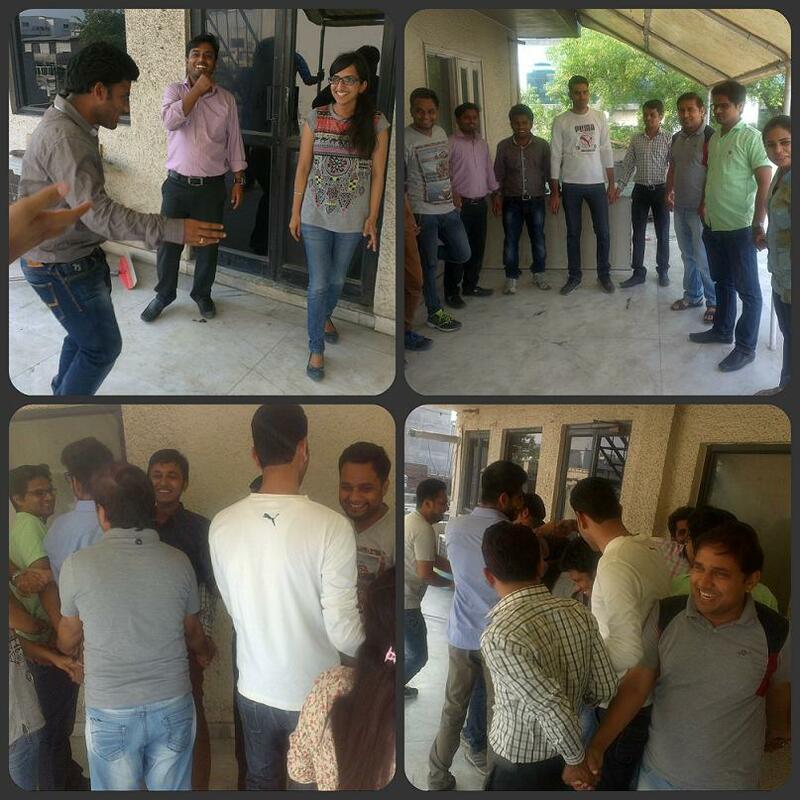 As per the rules of the event, participant employee from one team was to come forward and induce laughter in his challenger participant from another team. The participants were allowed to do whatever it takes to make their challengers burst with laughter; while staying in limits and avoiding any physical contact. Different participants tried a range of tactics to make their challenger laugh. Some participants considered it good enough to dance on a funny dance number while making all the crazy moves that one can never think of; while others opted for singing some awkwardly funny Bollywood songs with modified lyrics for instantly inducing laughter. In most cases, funny dance moves provided an edge to the participants as their challenger participants were caught smiling within a few seconds. A number of participant employees also cracked rib-tingling jokes that made everyone except their challenging participant burst into laughter. It was observed that inducing laughter was a hard nut to crack for most participants while staying calm and ignoring all funny acts was much simpler. 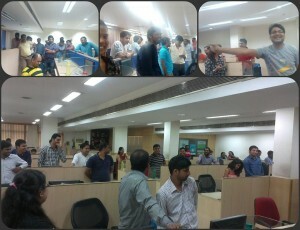 All employees participated with full excitement & zeal and it was an overall nice event to be a part of for all employees. Finally, the team making the most points was declared the winner. Who won who lost – never mind ! but the employees enjoyed which remains the motto of such events and HR team at SynapseIndia ensures that employees are not over dosed with the work and remain subtle by enjoying such events regularly.